Alexander Springs is approximately 37 miles east of Ocala in the Ocala National Forest in Lake County. Alexander Springs is a large spring depression and has a large spring pool that measures 300 feet (91.4m) across with a depth of 25 feet (7.6 m). The bottom is mostly sand with limestone exposed near the spring vent. There is a large vertical ledge also near the vent of the springs. The water is clear and blue in color. Native aquatic grasses are plentiful. Thin algae patches are present on limestone substrate. There is a mixed hardwood and palm forest around the spring. Alexander Spring Run flows east approximately 8 miles until its water reaches the St Johns River. Alexander Springs is a 1st magnitude springs with camping, swimming, scuba diving and large picnic area for families to enjoy the day. Blue Heron Bridge has to be one of the best shore dives in Florida. 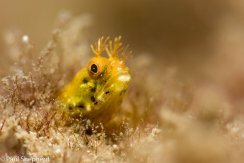 With masses of marine life including Moray eels, Turtles, Seahorses, Frogfish, yellow sting rays, eagle rays, flying gurnards, batfish, angelfish and many more. 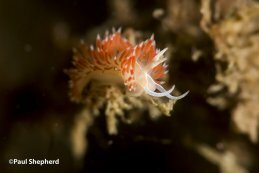 This is a great dive for all levels of diver that likes marine life. For photographers you have lots of natural light and great macro life. The dive at Blue Heron Bridge is best done about 1hr before high tide and onto the Slack high water. For hundreds of years the Timucuan Indians made the spring area their home. The spring run, river and the surrounding swamps and uplands provided food, clothing, shelter and materials for tools and weapons. Snails gathered from sandbars were staple food for these people. Over the centuries, the discarded shells formed a massive mound. By the mid-1800's, most of the Indians had been killed or driven south and pioneer settlers took their place. In 1872, the Thursby family built a large frame house atop the Indians' shell mound, safe from the floodwaters of the St. Johns. The pilings of the steamboat dock remain relics of a bygone area. Three years after England acquired Florida from Spain, John Bartram, a prominent British botanist, explored the St. Johns River in search of resources of value to the Crown. On January 4, 1766, he rowed his boat past sunning alligators into the clear waters of Blue Spring. Temperatures in spring and river run remain a constant 72 degrees year round. 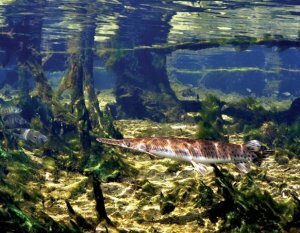 Largest spring (magnitude 5) on the St. Johns River produces 104 million gallons a day. Open water divers can dive to 60 feet, but cavern or cave divers can dive with lights to 120 feet. It is a safe haven for the West Indian Manatee. 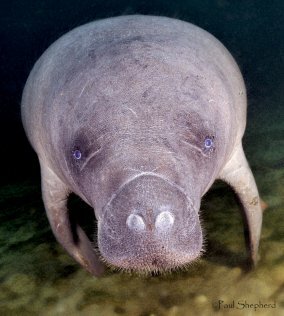 The park is designated as Manatee Refuge, Mid-November through March during cooler months Manatees are here and the spring and river run is closed for swimming and diving. Other Water Activities, Canoeing, Snorkeling, tubing, fishing and Kayaking can all be enjoyed at the park. The river is about six miles long and originates at Rainbow Springs State Park about one mile north up river. There are no runoff tributaries so the spring fed river is nearly perfectly clear. Clarity is its number one feature. The glass like surface makes it all the better to see more clearly the wonderful array of flora and teaming organisms both big and small. Underwater visibility is 150 feet plus. With no wind or waves, one can see to the bottom of the deepest hole. The entire Rainbow River was designated as a Registered Natural Landmark in 1972. Then an Aquatic Preserve in 1986 and an Outstanding Florida Waterway in 1987. The River is fed from numerous springs and vents starting at the headwaters and popping up the full length of the river. Over 500 million gallons of water pour into the river at a constant temperature of around 72 degrees every day. The Rainbow River is home to a plethora of marine life with many types of fresh water Turtles, River Otters, Bass, Alligator Garr fish, Catfish, Fresh water shrimps and many other types of fish and critters. 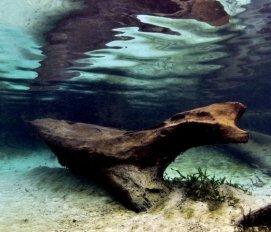 The fossilized trees in the bottom of the river also provide some amazing sites and tend to be home to many of the smaller life. 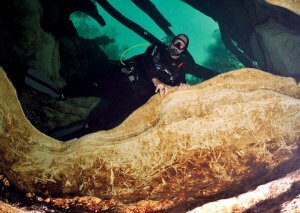 The Rainbow river is a great dive for new divers and very interesting for the patient experienced diver who loves marine life. 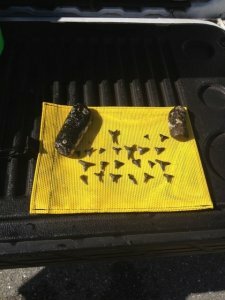 Beach Diving: Caspersen Beach and Venice Municipal Beach are the best locations for finding shark’s teeth in the southwest Florida coastal area. This area is maintained as a natural preserve for nesting sea turtles so the beaches are pristine. The sand is very fine and snowy white. Caspersen beach is the longest beach in Sarasota County. 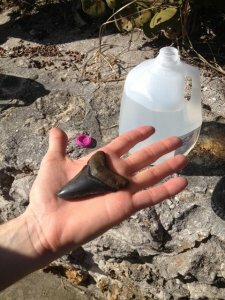 There are many fossils, shells, and shark’s teeth on the beach and ocean floor. Tropical storms and tide currents continually turn over the bottom of the ocean revealing an abundance of natural treasures. Boat Charter Services: Boat Diving is also available. The dive takes place a half mile off shore in 20-30 feet of water. Divers have been known to even find Megalodon teeth. These giant shark’s teeth are impressive in size and of great historic interest as they are around 2,000 years old. When searching for these items look for dark clay patches on the ocean floor. This dive is great for all levels of experience. Recommended equipment: fine mesh bag for fossils and shells, compass for navigation, dive flag for safety. Parking: Parking is metered. You will need coins. Visibility: The gulf presents an ever-changing environment so visibility in the Gulf can be challenging. When planning a gulf dive, it is advised to check with local dive shops or www.noaa.gov to assess conditions. Morning dives are generally the best. Recommended PADI Specialties: Boat diving, Navigation diving.